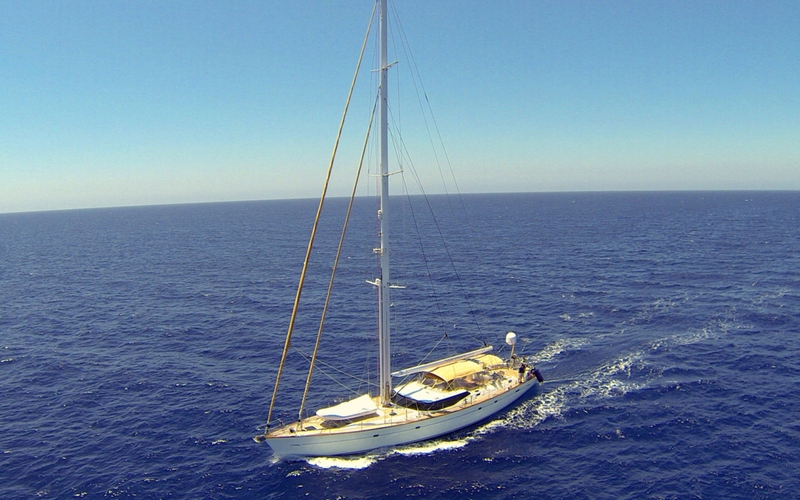 S/Y Pandemonium (ex OCEANA) is a 2005 25m (82') Oyster Marine composite sloop rigged sailing yacht. 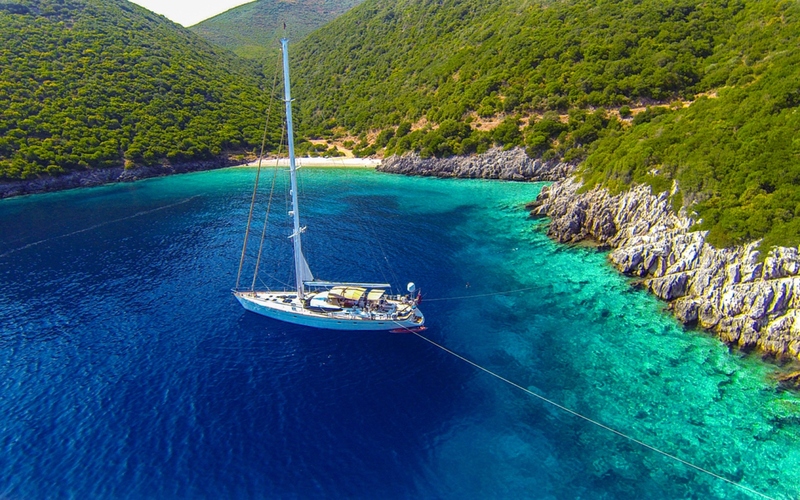 She accommodates up to 6 charter guests in 3 cabins. 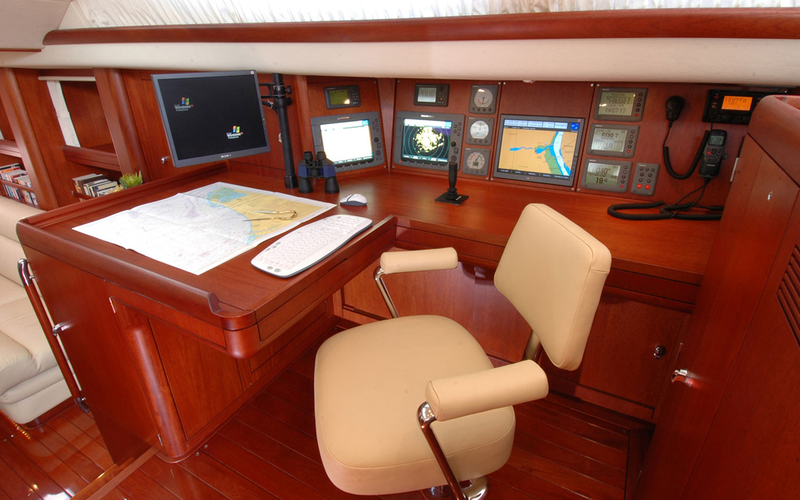 She has a classically styled interior of dark Mahogany and cream bulkheads. A split salon and dining offers the formal dining in a raised position, allowing guest to enjoy the views, alternatively, this is a wonderful area to enjoy and simply relax. 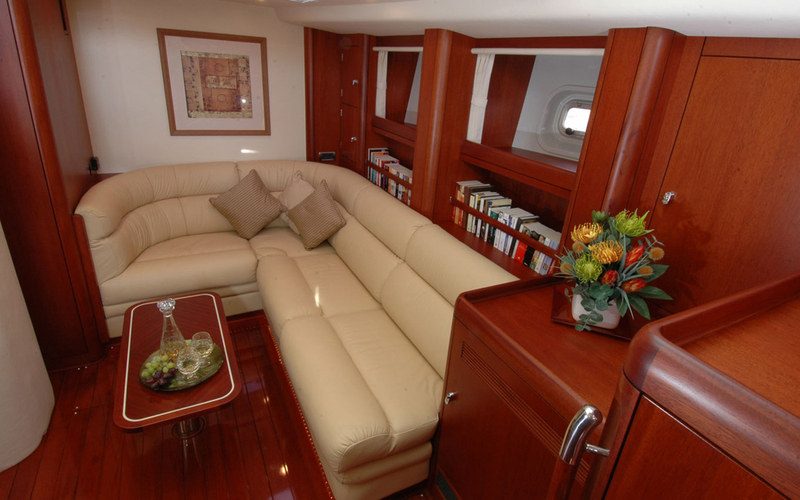 The lower salon is open plan with the galley, featuring a leather sofa and entertainment systems. 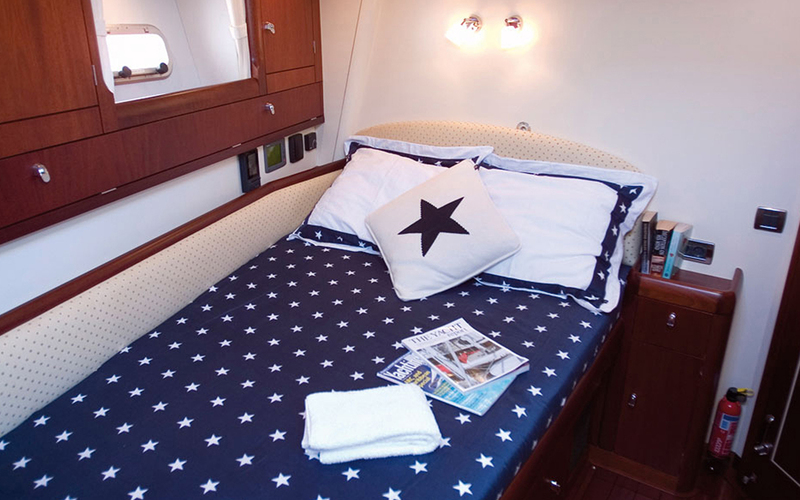 The cabin arrangement will offer style and comfort for up to six guests in three cabins. The master cabin has a sumptuous double berth, settees, dressing table and two large hanging lockers and includes an en-suite bath, shower and head. 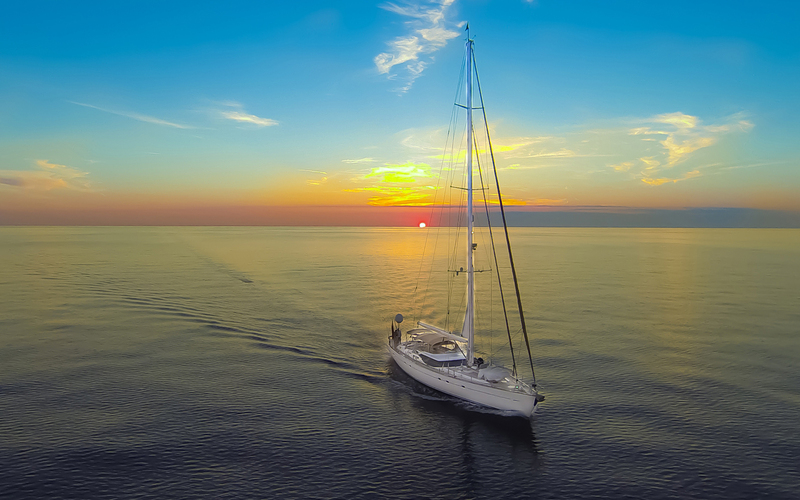 A further two cabins offer accommodation in a twin starboard cabin with en-suite shower and head and a twin forward port cabin (upper and lower bunks) with a shower and head all fitted out to the most luxurious standards. PANDEMONIUM’S exterior living is comfortable and spacious. Dine alfresco in the guest cockpit under the shade of a Bimini. 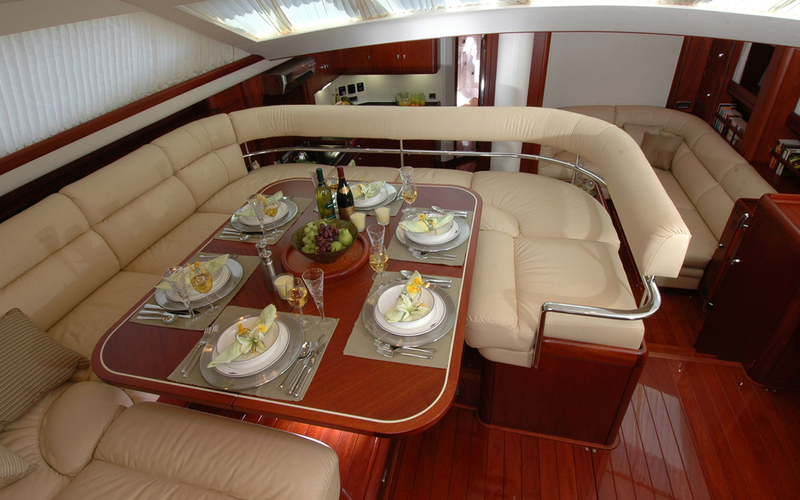 Further aft there is ample deck area leading to the built-in swim platform. 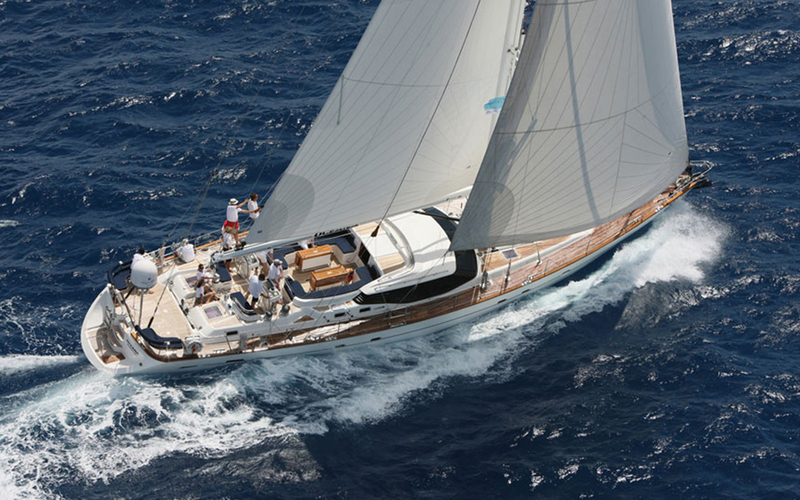 For the sun-lovers, a foredeck sunpad awaits. The Oyster 82 if powered by a Cummins engine, offering speeds of 8 – 10 knots. 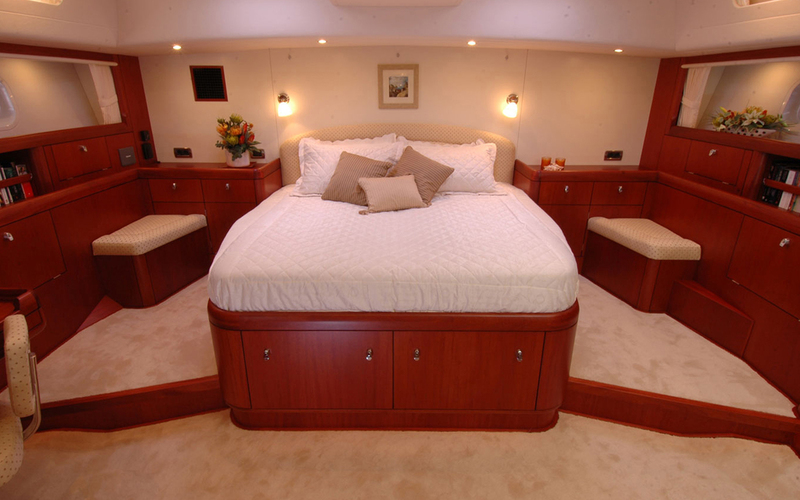 Accommodation is in 1 master cabin, full beam and aft of the yacht with a sofa and large ensuite with tub. 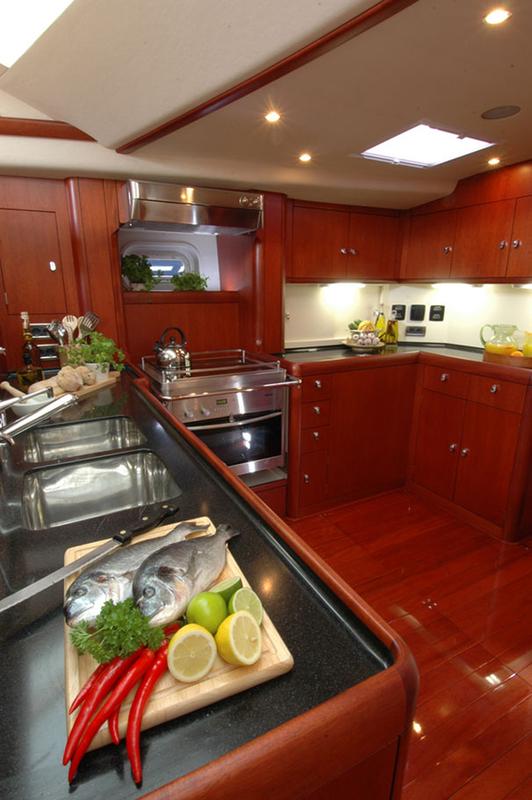 Forward of the salon is a double cabin to starboard. 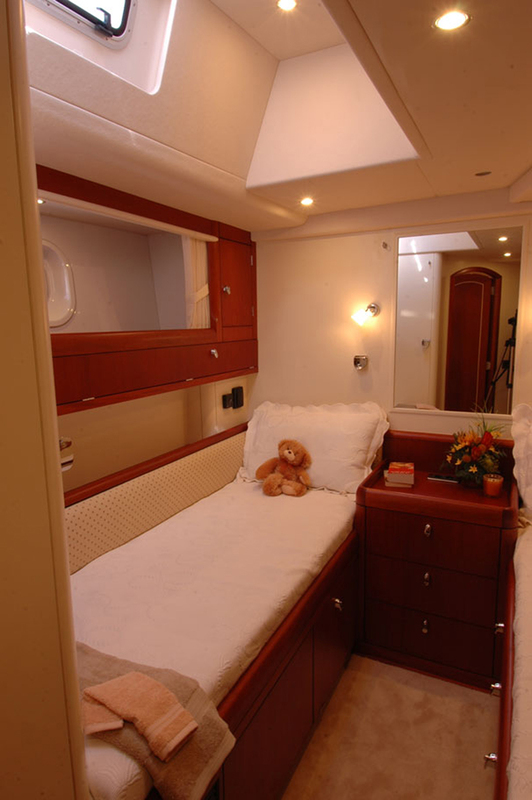 The twin cabin is also on starboard, aft of the salon. 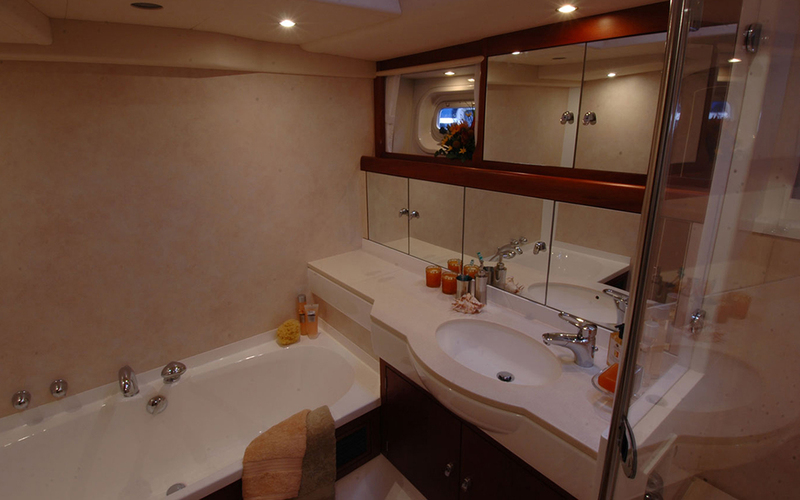 All cabins have private en-suites, the yacht is fully air-conditioned throughout. Pandemoniums Tenders & Toys 2009 Novurania 400DL tender. Yamaha 50hp outboard. Audio Visual Equipment and Deck Facilities: SOUND SYSTEM Wireless Apple Airplay technology. Power amp. 4 x pairs of speakers, controlled by Control 4 Home automation system. 5.1 Surround sound in upper saloon and master cabin. TELEVISION Movie server. KVH M9 satellite TV antenna. 1 x Roku player. FORWARD CABINS Sharp 15” TV’s. UPPER SALOON Samsung 46” 3D TV. LOWER SALOON Sony 32” TV. STARBOARD AFT GUEST CABIN Samsung 21” TV. Sony PlayStation 4. OWNER’S CABIN Sony 46” 3D TV. Blu-ray DVD player.